The end of yet another NFL season has passed. With the NFL Pro Bowl already in the distant minds of viewers and parties from Super Bowl LIII already cleaned up, all eyes are already on next season. The end of the week marks the time when professional teams start to rebuild their rosters, prepare for the draft and look ahead to what the next season has in store. For some teams, the future outlook is bright, but others find themselves at the top of the draft board after yet another disappointing season. While the NFL off-season is just about to start, the Badger Football off-season is a few months old, and preparation for the draft for those who have declared has already begun. 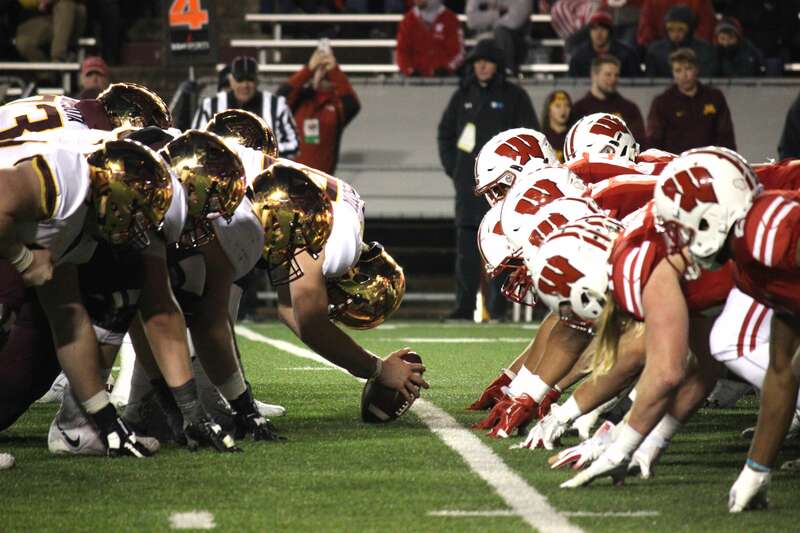 Badger football Head Coach Paul Chryst will say goodbye to 16 graduating seniors this season: guards Beau Benzschawel and Michael Deiter, fullback Alec Ingold, linebacker T.J. Edwards and safety D’Cota Dixon. 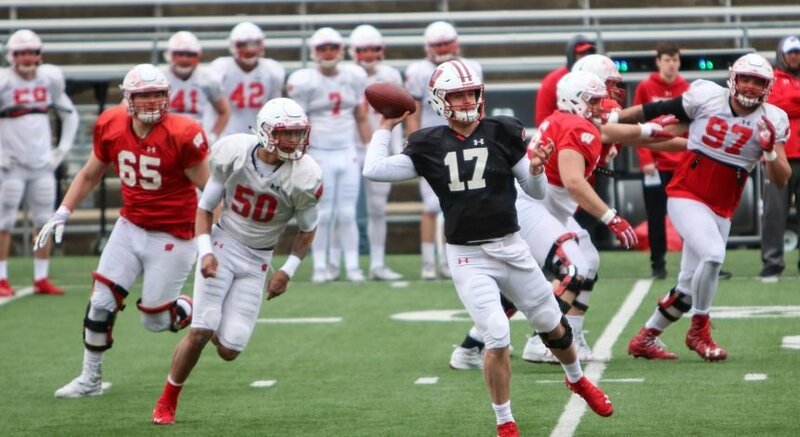 For these seniors and a few others leaving Madison in pursuit of a roster spot in professional football, their careers as players are just getting started, as several of them are projected to be picked early in this year’s draft in Nashville. Wisconsin football has a rich history of sending players to the NFL draft, many of whom succeed greatly on the world’s biggest stage. There are currently 31 former Badgers in the NFL, including Melvin Gordon as a running back for the Los Angeles Chargers, Seattle quarterback Russell Wilson, all three of the Watt brothers — J.J., Derek and T.J., Travis Frederick as a center for the Cowboys, New England running back James White, and Eagles running back Corey Clement. The following departing players will hope to add their names to this list in April. Edwards entered Wisconsin in 2015 as a tight end and redshirted his freshman season. Since moving to the offensive tackle position at the beginning of the 2016 season, he has become one of the best offensive linemen in the country. Notable accolades include Academic All-Big Ten (2016-18), First Team All-America (2017, AFCA) and First Team All-Big Ten (2018, media). The 6-foot-7, 315 pound Edwards is currently ranked by CBS Sports as the fifth offensive tackle and has been given a second round grade by experts. 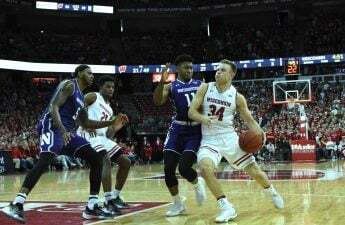 Benzschawel, a part of a senior class who went 42–12, entered Wisconsin in 2014 as a three-star recruit out of Grafton, Wisconsin. After redshirting his freshman season, he emerged as one of, if not the, best offensive guards in the country. Notable accolades include Second Team All-Big Ten (2016, coaches) and First Team All-American (2017-18, consensus). Fittingly, Benzschawel is the highest rated guard by CBS Sports and is projected to be selected in the third round in April. Like Benzschawel and Edwards, Deiter redshirted his first year in Madison. After that, he went on to set a school record of 54 consecutive starts — 24 at left guard, 16 at center and 14 at left tackle. 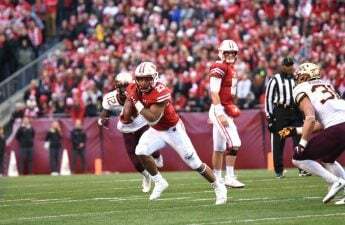 He, along with Benzschawel and Edwards, will be remembered for what he did to help protect his quarterbacks and help Jonathan Taylor to a Doak Walker Award and 4,171 rushing yards in Taylor’s first two seasons in Madison. Deiter capped off his college career this season by being named First Team All-American by the Football Writers Association of America and The Athletic. He is listed as the second-ranked offensive guard (behind Benzschawel) and has been given a fifth-round grade. T.J. Edwards ended his college career with 53 starts at linebacker, 366 total tackles, 37.5 tackles for loss, eight sacks and ten interceptions. He will be particularly known for starting every game for the Badgers’ first ranked scoring defense and second-ranked total defense in 2015. While many experts don’t see T.J. Edwards’ game translating to the NFL, he is the sixth-ranked inside linebacker by CBS Sports and has been given a fifth-round grade. Dixon suffered a season-ending injury in week four of his first season in Madison. Since then, Dixon played in 43 games and became a staple in the back end of Chryst’s defense. Dixon’s distinguished Badger career included 179 tackles, 8.5 for loss, 2.5 sacks and five interceptions. He is a bit undersized for the safety position at the next level, standing at 5-foot-10, 205 lbs, but there have been elite level safeties to succeed at that size, most notably former Steelers safety Troy Polamalu. Dixon’s draft prediction has bounced around since the college season came to an end, projected as high as the sixth round in some rankings, but he now is projected to sign as an undrafted free agent after the draft concludes. Alongside the notable names above, defensive tackle Olive Sagapolu and fullback Alec Ingold are both projected to be drafted in the later rounds or signed as undrafted free agents after the draft process concludes. Sagapolu, most known for his backflips, has the higher projection of the two, partly due to the scarcity of fullbacks in today’s NFL. But despite having a hill to climb to find a spot on an NFL roster, Ingold impressed scouts at last week’s Reese’s Senior Bowl, and many believe when it is all said and done, he will be playing in the NFL next season. The NFL Draft will air on ABC and ESPN starting April 25 with round one, rounds two and three April 26 and rounds four through seven April 27.